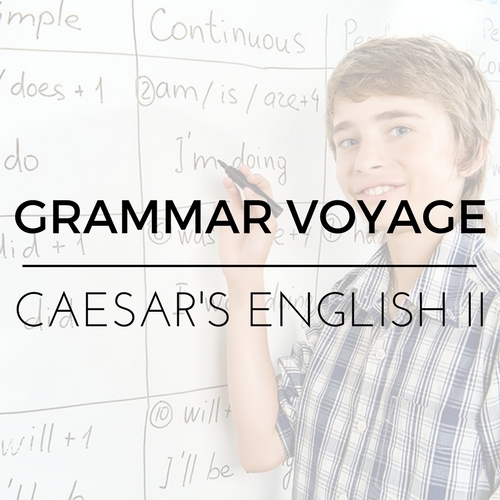 Michael Clay Thompson’s Grammar Voyage and Caesar’s English II from Royal Fireworks Press, adapted to fit the needs of modern gifted learners. This is a year-long course condensed into a single semester. Weekly webinars are 50 minutes long. Recordings are available for students who must miss a session. Categories: Grammar/Language, Spring 2018, Spring 2019. Tag: Standard Semester. Middle school grammar and vocabulary. Appropriate for students of all ages who are seeking an accelerated introduction to grammar and vocabulary study. 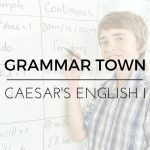 Grammar Town or equivalent. Students must be able to read fluently at the 5th grade level or above. Students should also have a strong understanding of the 8 parts of speech and subjects and predicates.